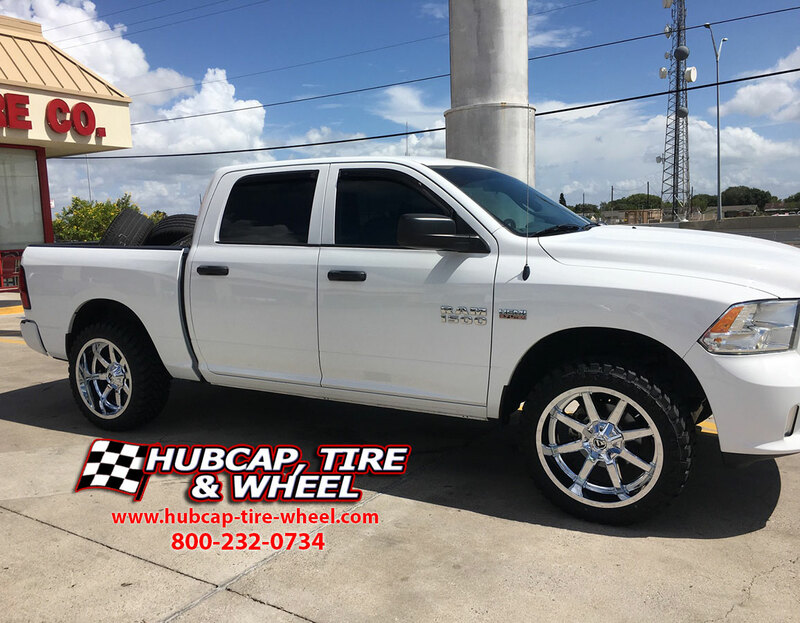 Our customer’s 2014 dodge ram 1500 with chrome 22″ fuel maverick D536 wheels came out great. The 22″ chrome rims really makes this truck stand out. Going from stock to the custom 22″ Fuel Maverick wheels was a fantastic choice. It really fits his truck well. The great thing about this set up is the fact you can off-road as well as have a comfortable ride down the highway, all in one package. 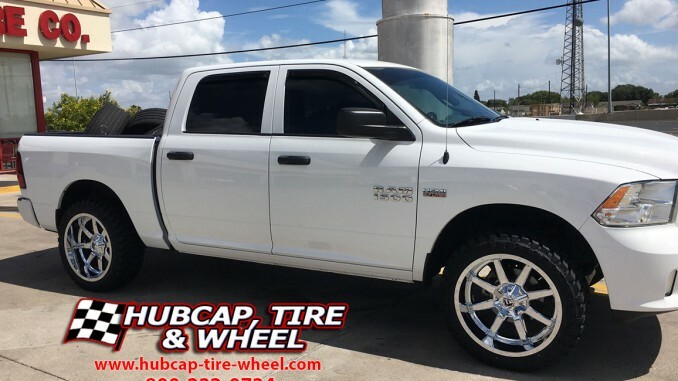 When people see this truck, they will immediately know that this is a custom wheel job while at the same time not going over the top with the custom look. He will be getting heads to turn everywhere he goes and we can’t be more proud of that. If you would like to find fitment information or any information on this wheel or any of the rims we offer, please don’t hesitate to contact us. We are here to answer your calls and answer any of your questions from Monday-Friday 8:30am-6pm EST and Saturday 9am-4pm EST. Call us at 800-232-0734. Our professional wheel and tire experts have been doing this a long time. With over 100 years of combined experience they are ready to help. Everyone on our staff has been here for at least 6+ years and with the knowledge they have, we will guarantee fitment or you money back. That’s right, you can go to sleep at night knowing you will get exactly what you need without any worry on fitment problems. The best and quickest way is to just give us a call at 800-232-0734 Mon-Fri 8:30am-6pm EST and Sat 9am-4pm EST.